If you’re interested in gathering an in-depth knowledge of the behavior, thoughts, actions, interactions and reactions of people, perhaps leading to a career as a psychologist, a Masters in Psychology could be for you. Read on to find out about common Masters in Psychology degree types, entry requirements, specializations and careers in psychology. Laboratory skills (in some courses). Psychology is a broad subject, and the course structure and teaching methods of Masters in Psychology programs are likely to vary significantly, depending on your chosen specialization. Most Masters in Psychology degrees will be one or two years long, although this will vary by country and specialization. If you would like to study part-time or via distance (online) learning, the course is likely to take longer to complete. Masters in Psychology degrees can take the form of either a Master of Arts (MA) or Master of Science (MSc). An MSc degree is likely to be more focused on research and the sciences, while an MA may be more focused on the arts and humanities aspects of psychology. In either case, you will typically complete a variety of course modules, building up your knowledge and skills before concluding with a research project or dissertation to bring together what you have learned. Although it’s natural to assume that you would first need to complete an undergraduate degree in psychology, this is not always the case. Some universities are happy to consider graduates from any course discipline, as long as you have achieved the required grade. In the UK, for example, it is possible for undergraduates of other disciplines to undertake an education route towards becoming a psychologist via an accredited master’s degree which acts as a conversion course. Relevant work experience is likely to be a distinct advantage to your application. Due to the nature of some specializations (such as counselling) some universities may also look for particular personal attributes, such as emotional maturity and sensitivity. There are a wide range of specialized fields of psychology, often overlapping with other subjects, such as business, education, sports and sociology. If you know what specialization you’d like to focus on, it’s often possible to find an entire dedicated master’s degree. For example, London Metropolitan University offers a Masters in Consumer Psychology, the University of Sydney has a Masters in Coaching Psychology, and Tilburg University has a Masters in Economic Psychology – just a few examples of the many specialized programs available. A more general Masters in Psychology will cover the core areas of the subject, with opportunities to choose from a selection of specialized optional modules. However, as with all master’s courses, it is advisable to consider what career you’d like to aspire to before choosing a postgraduate degree. Many psychology departments will have clear areas of specialization, offering dedicated support for specific psychology careers. If you’re interested in taking the first step to a career in clinical psychology, assessing and treating the mental health and/or behavioral problems of patients, this specialization could be for you. Note that you will likely need to complete further training (such as a doctorate) to qualify as a clinical psychologist. However, a specialized master’s degree in this area should still provide you with a good foundation for clinical psychology careers, teaching you how to diagnose patients and use effective techniques to treat them. Similarly, a specialization in counselling psychology will allow you to strengthen your understanding of a variety of mental health issues and traumas in more detail than would be possible in a more general psychology course. You’ll cover topics relating to developmental psychology, approaches and techniques within counselling practice, therapeutic skills and professional standards. Often, master’s degrees in this field will allow students to gain practical experience, developing a combination of research skills and professional skills. A Masters in Experimental Psychology is likely to be highly based on research, and you will learn how to apply experimental scientific methods to the study of human behavior. There are likely to be opportunities to specialize further in a particular area of psychological research, such as clinical, developmental, social and cognitive neuroscience. 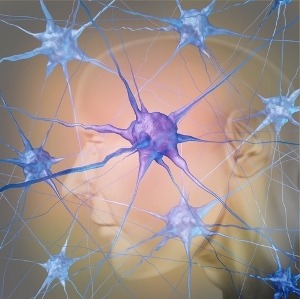 If you would like to specialize solely in cognitive neuroscience (the division of neuroscience that deals with how neurological mechanisms are involved in our thoughts and behavior), you may opt to take an entire master’s degree specialized in this area. If you are fascinated by the prospect of exploring the psychological causes of crime and strategies to prevent it, then you might like to choose a master’s degree in criminal psychology, or psychology and criminology. If you go on to become a professional criminal psychologist, you could be called upon to provide psychological assessments of suspects; evaluate risks of reoffending; provide expert testimony in court; and contribute to the resolution of challenging criminal cases. Business psychology: You will study how to apply modern psychological principles to the business world, with the goal of improving working life. Evolutionary psychology: This specialization is concerned with understanding human behavior through detailed exploration of evolutionary theory. Child psychology: Here you’ll focus on a detailed study of the psychological development of children and the implications for policy and practice. Educational psychology: Similar to child psychology, this specialization focuses on the application of psychological theory, research and practices to promote the development and wellbeing of young people in educational contexts. 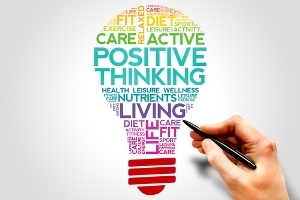 Sport and exercise psychology: This is concerned with the mental and emotional impacts of taking part in sport and exercise, often leading towards a career as a sport and exercise psychologist, therapist or coach. When it comes to careers in psychology, postgraduate study is often considered essential if you wish to become a qualified psychologist. This is especially the case in countries such as the UK and the US, where many courses are accredited by the British Psychological Society or the American Psychological Association as direct training routes for specific psychology careers. In most cases, master’s graduates will need to undertake further study at doctorate/PhD level to fully qualify as a professional psychologist. 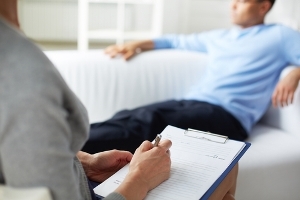 There is often confusion between the roles of psychologist and psychiatrist. If you aspire towards the latter career, you will need to study a medical degree, as psychiatrists are physicians who have specialized in the study and treatment of mental illnesses. On the other hand, to become a psychologist, you will need to complete a Doctor of Psychology (Psy.D) or PhD in Psychology. Below are some examples of careers in psychology which you might aspire towards. Counseling psychologists apply psychological theory and therapeutic practice to help a wide range of patients with mental health issues, typically arising as a result of to life events and traumas such as bereavement or domestic violence. Professionals in this arena will need appropriate skills such as the ability to listen, emphasize and communicate respectfully with people from different walks of life. During your degree, you should have developed the skills needed to analyze specific situations, and to work collaboratively with individuals to help improve their wellbeing. Similar to counseling psychologists, psychotherapists provide support for individuals, couples, families and groups, helping them overcome a range of mental and emotional issues. Both counselors and psychotherapists use a range of methods and therapies to help people, and both roles require professionals to be capable of providing non-judgmental, constructive support. The main difference is that psychotherapists typically work with patients over a longer period of time, delving deep into underlying and perhaps repressed emotional issues. Educational psychologists are concerned with helping children and young people who are experiencing problems within an educational setting. They work closely with parents and educational professionals such as teachers, to help young people overcome challenges related to social or emotional problems or learning difficulties. Occupational psychologists apply psychological understanding, theory and practice to the world of work, aiming to improve both the performance and job satisfaction of employees. They may work at individual or team level, and use a variety of activities and strategies to work towards the needs of their clients. Forensic psychologists apply psychology theory to criminal behavior to explore what makes people commit crimes. If you’re intrigued by the psychological factors behind criminal behavior, and want to help offenders make positive changes and/or help officials solve and prevent crimes, this career might suit you. Like many psychology careers, this role is likely to prove challenging and often emotionally draining, requiring resilience.